In something other than sad news from South Korea, enhanced experience cinema seat maker CJ 4DPlex has revealed its global ambitions and roadmap. To many movie fans, “300” is a Hollywood blockbuster about an epic battle between the Spartans and the Persians. But for CJ 4DPlex, the number has a different yet significant meaning. For the CJ affiliate, 300 is the number of theaters worldwide in which it hopes to deploy its 4-D technology called 4DX that offers a new experience for moviegoers. CJ 4DPlex wants 4DX to become a major cinema brand like Imax and drive added revenue for exhibitors. The idea of 4DX came from CJ Group chairman Lee Jay-hyun, who suggested CJ CGV integrate the concept and technology of theme park rides with cinemas to offer a different movie experience. This came as the theater market has been facing strong competition from the home entertainment sector. Lee’s 4-D insight was also in line with his vision for CJ’s media and culture globalization, which was to encourage global consumers to watch one to two Korean movies a year; eat Korean food at least twice a month, watch one to two Korean soap operas a week; and listen to one to two K-pop songs a day. Here is another video that explains the technology in more depth (that I’m unable to embed). USA (CA): The go-ahead has been given to one of the two ArcLight cinemas proposed for Santa Monica. Council voted quickly and unanimously to approve the first new Downtown Santa Monica movie theater in decades. An ArcLight Cinema with 10 to 13 screens and up to 1,500 seats will be built on the third level of the Santa Monica Place mall and could be completed by next year. Concessions (not the snack kind) made include a USD $120,000 contribution to the pedestrian Colorado Esplanade, funding Downtown wayfinding signage, closed caption devices at all its theaters, three screens made available for AFM and local hiring of staff. 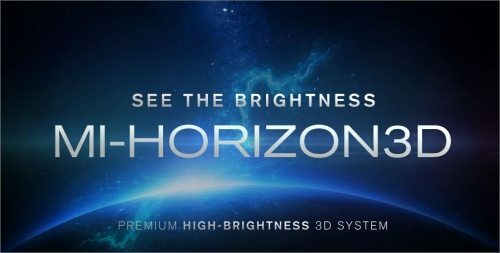 Korea (South): Is this part of MasterImage 3D’s plan to win the lawsuit relating to the “light doubler” filed against it by RealD? If the technology is genuinely different, as many say, it will definitely strengthen their defence. MasterImage 3D, provider of pioneering 3D solutions for theaters and mobile devices, today announced the approval by the Korean Intellectual Property Office (KIPO) of its key patents 10-1387096 and 10-1387097. Worldwide patent applications are in progress. UK: The first quarter of 2014 did not improve the gloomy 2013 figures, despite several hits. Though from a historical perspective (see above), nowhere near as drastic as what happened in the 1950s. Just saying. U.K. movie admissions fell by just over two million in the first quarter of 2014 compared to the same period last year despite the rollout of big draws including Warner Bros.’ The Lego Movie, Disney’s Muppets Most Wanted and Universal’s The Wolf of Wall Street. January through March admissions tallied up 39.9 million this year, a fall of 2.1 million from the 42 million attendees posted in 2013. UK: A shopping centre in Leeds that used to host a cinema is celebrating its 50th anniversary with the jolly good idea of creating a temporary cinema with free screenings. Offering shoppers a trip down memory lane, the small, personalised cinema will showcase a range of films from the past 50 years, starting with the 1964 Disney classic, ‘Mary Poppins’ on May 26. 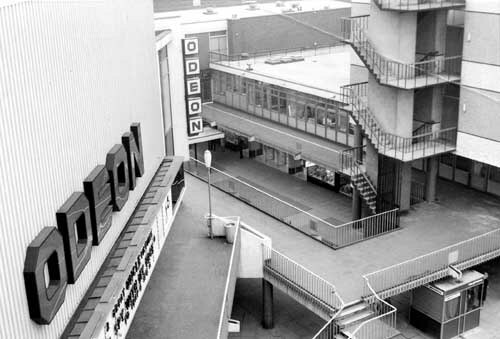 The Merrion Centre was previously home to a 1,000-seater Odeon cinema, which closed its doors in 1977. USA (NY): HAving already been exported to Amsterdam, the London phenomenon that is Hot Tub Cinema is coming to the Big Apple this summer. Hot Tub Cinema, a UK phenomenon that first started in the summer of 2012, is crossing the Atlantic and making its way to a New York City near you! Hot Tub Cinema is exactly what the name suggests it is — a movie theater experience in a hot tub. 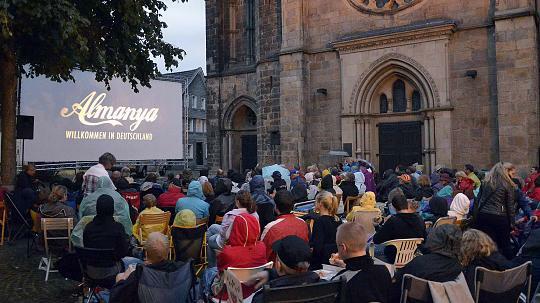 Germany: The city of Mettman, which in previous years has paid for outdoor summer screenings, can’t afford it this year and is looking for sponsors. 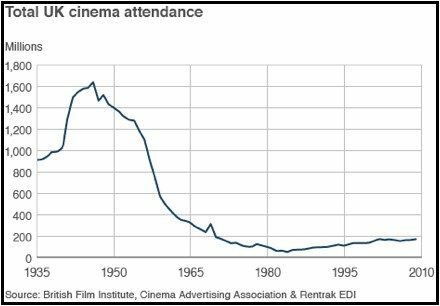 USA (PE): A long article profiling one of the few drive-in cinemas able to make the transition to digital. 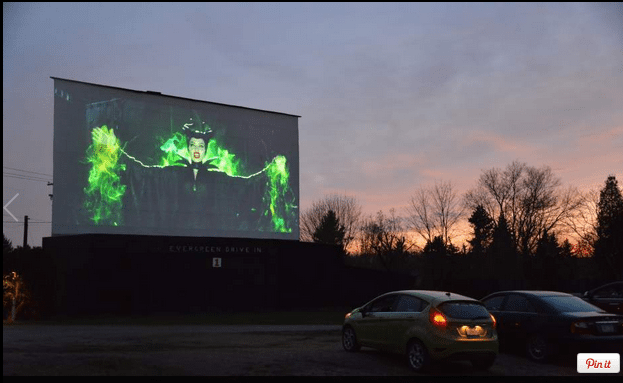 The Evergreen Drive-In Theatre made its digital-age debut Friday before carloads of enraptured onlookers, including Greensburg’s Tracie Burkhardt. “With the new technology, the picture is much clearer,” said Burkhardt, who attended with family and friends. 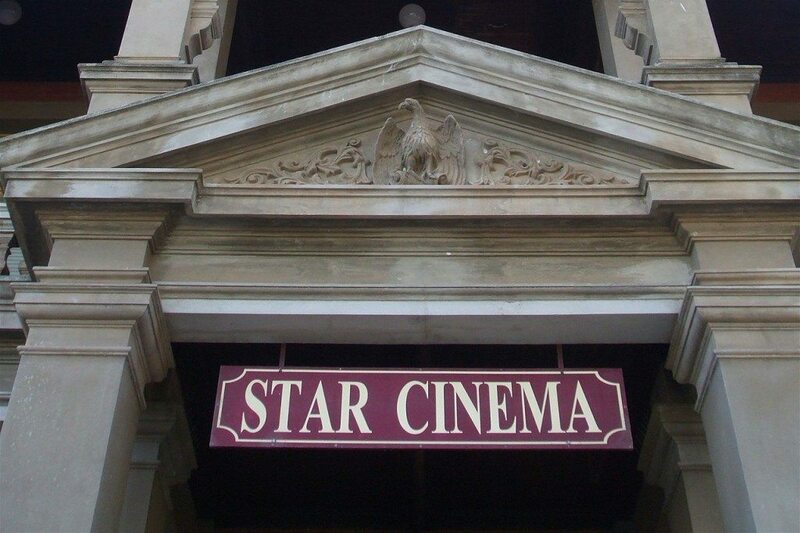 Australia: A combination of community fundraising and state support has saved this cinema in Australia. The fact that it was located in the Town Hall probably put a bit of extra pressure on the politicians to support it. The Star Cinema in Eaglehawk can now switch from film to digital, with the last amount of funding needed for an equipment upgrade finally in place. The State Government will contribute $35,000 to the $75,000 project…. UK: One of the UK’s most successful student cinemas still needs to find another GBP £3,000 to be able to buy a digital projector. 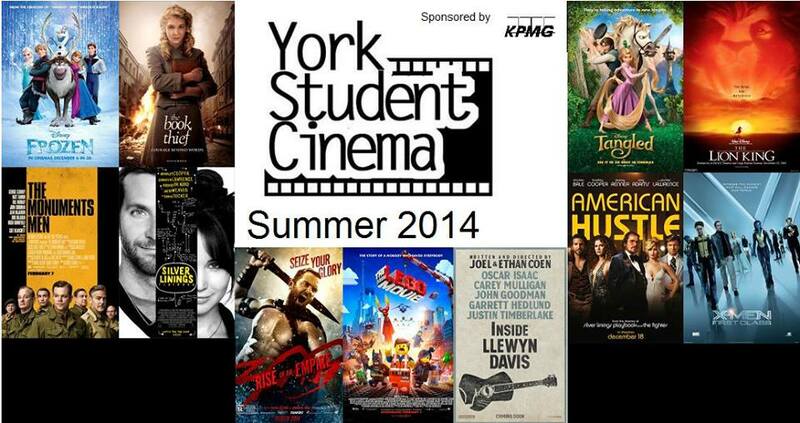 York Student Cinema that is located in P/X/001 on Heslington West campus offers a wide choice of films to students and public at reasonable prices. However, they may go out of business because of lack of funding for a new digital projector. The cinema currently has a 35mm projector that uses reels. However, most film distributors no longer produce films on reels but in digital forms. If the cinema is going to stay afloat, a new digital projector that costs around £30,000 will need to be purchased for the cinema. UK: Cineworld is looking to build a multiplex in Ely, according to an exclusive from Ely NEws. Cambridge-based Turnstone Estates Ltd has revealed that East Cambridgeshire District Council has appointed it as the developer for a new £15 million Cineworld-anchored leisure village on land off Downham Road. 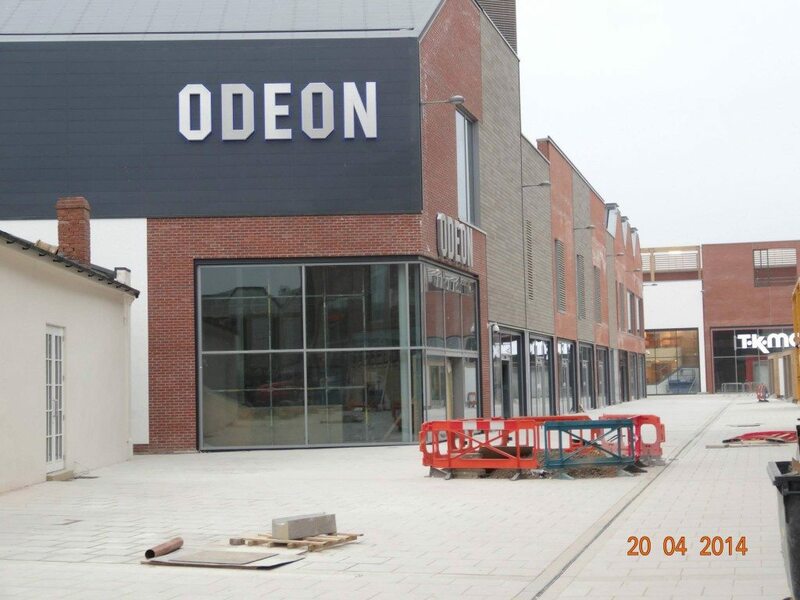 UK: A launch date has been set for the new Odeon in Hereford and even the opening films are confirmed. IT’S curtain up at Hereford’s state of the art six screen Odeon cinema on May 22. That’s the pay off for a near £4m investment in the project by the Odeon group. USA (NY): A former United Artists two-screen cinema in Queens, New York is no more. 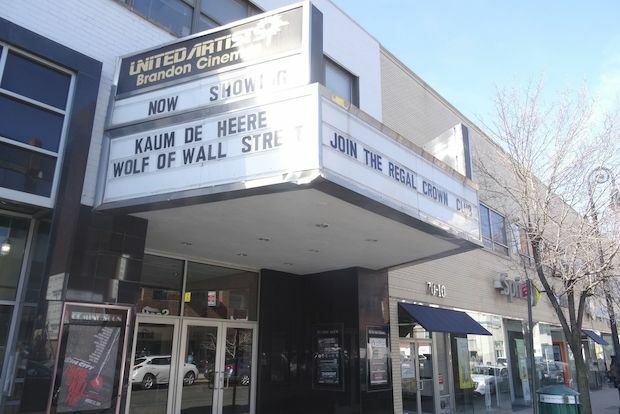 A movie theater that has anchored Austin Street since the 1970s closed Sunday to make way for a new pediatric health facility, the landlord said. Brandon Cinemas, at 70-20 Austin St., had shown art-house and mainstream films for decades and was once a vital part of social life along the street, locals said. In case you are wondering about the film above Wolf of Wall Street on the marquee it is a Punjabi film. 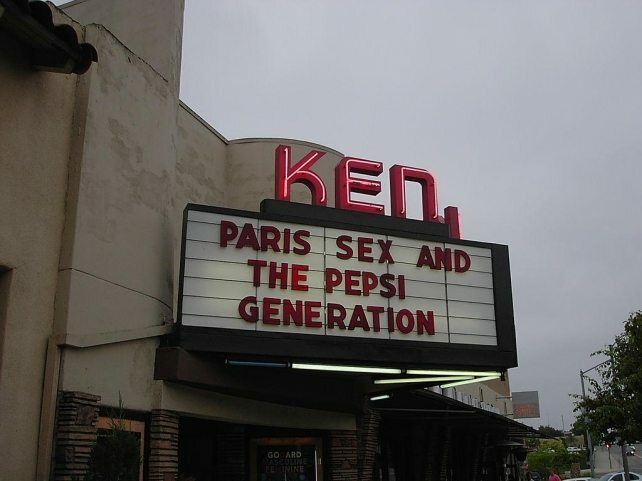 USA (CA): There could be good news yet about the Ken Cinema in San Diego. For all of those eagerly awaiting news on the fate of The Ken Cinema, Landmark and the building owners are all saying positive progress has been made. Landmark Theatres president Ted Mundorff and Barry Green, a member of the Berkun Trust that owns The Ken Cinema building, met Wednesday at 2 p.m. at the theater. 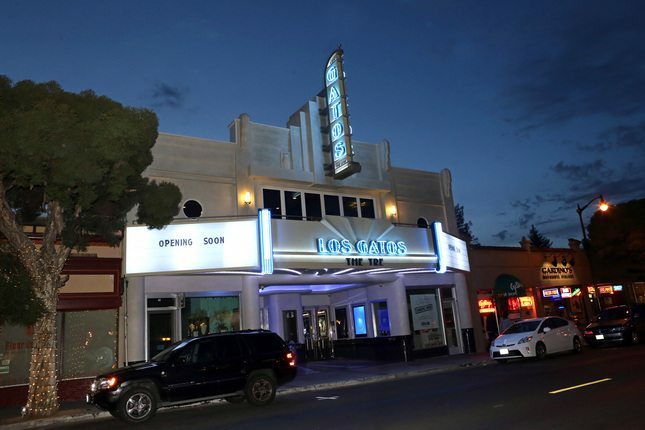 USA (CA): The 100-year old Los Gatos Theatre in San jose is re-opening after an extensive refurb. The new Los Gatos Theatre features the latest in digital technology, so movie-goers can expect to see 3D special effects jumping out of the screen if the movie calls for them. USA (MI): A change of guard at a major Michigan cinema. The people who run the Maple Theater in Bloomfield Township will take over operations of the Palladium 12 in Birmingham starting Thursday. The larger of downtown Birmingham’s two cinemas, the Palladium 12 had been run by Uptown Entertainment, which is owned by the Ilitch family. The Brooklyn Nighthawk Cinema is becoming a bit of a favourite of ours. They have now posted on Tumblr the drunk drawings of some of its patrons. Here’s a lesson for brands trying to infiltrate the wonderfully weird world of Tumblr: Be more like Brooklyn’s Nitehawk Cinema and don’t try so hard. 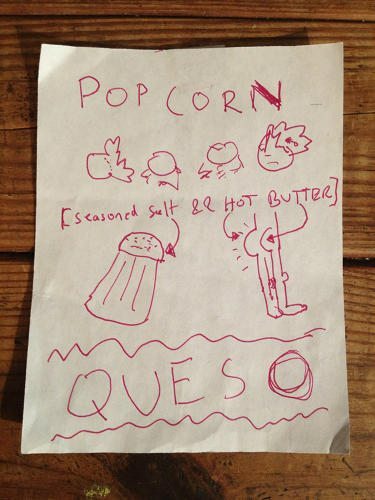 The Nitehawk Tumblr mostly posts drawings and messages people leave for the waiters, or those they pass back and forth to tablemates–Nitehawk serves food and drink inside the theater, using a handwritten system for ordering. Patrons, it turns out, pen more than just drink requests, scrawling notes or doodles on the scraps of paper.